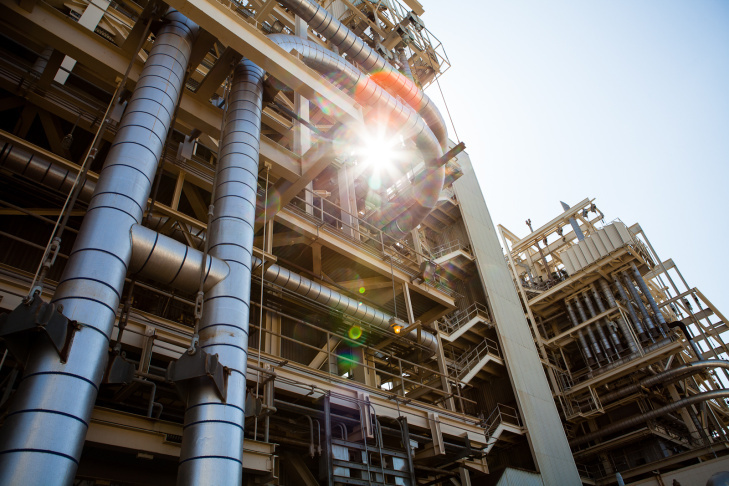 The sun shines through a maze of pipes at the AES Power Plant in Huntington Beach. 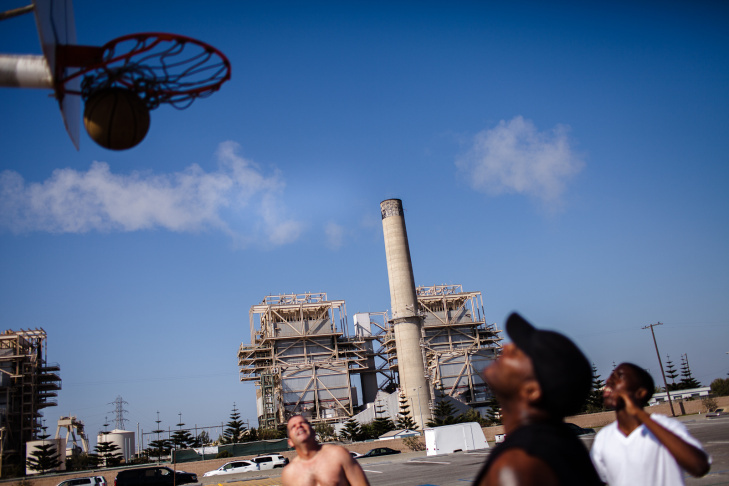 Huntington Beach locals play basketball across the street from the AES operated power plant. 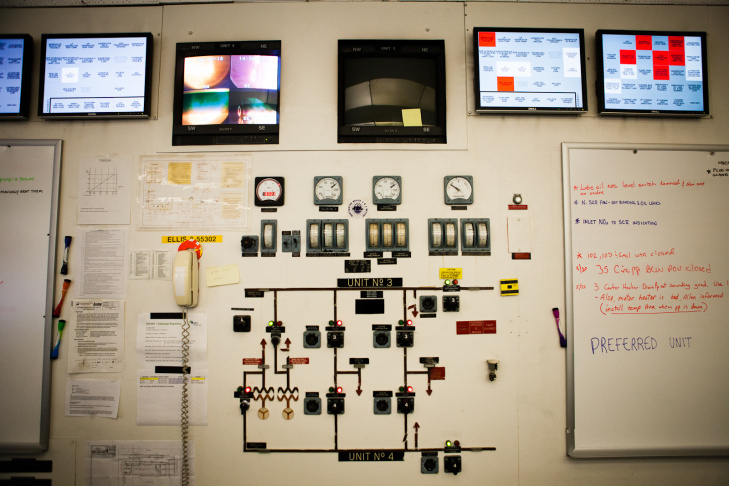 View of the control panel at the AES Power Plant in Huntington Beach. A cloud of steam vapor escapes from a pipe at the ASE Huntington Beach Power Plant. A view of electricity generating units 1 & 2 at the AES Power Plant in Huntington Beach. 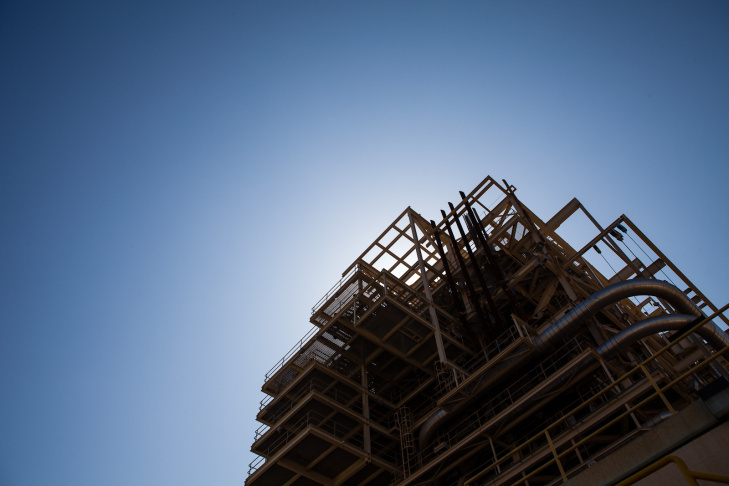 The natural gas-fired AES power plant in Huntington Beach, CA is providing power to 25% of the Southern Californians affected by the temporary closure of the San Onofre Nuclear Power Plant during Summer 2012. View of the control room at the AES Power Plant in Huntington Beach. 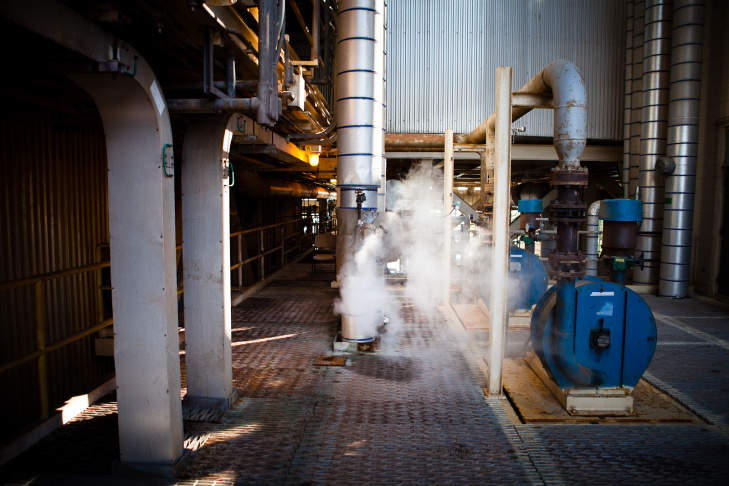 View of one of the two steam venting stacks at the AES power plant in Huntington Beach. 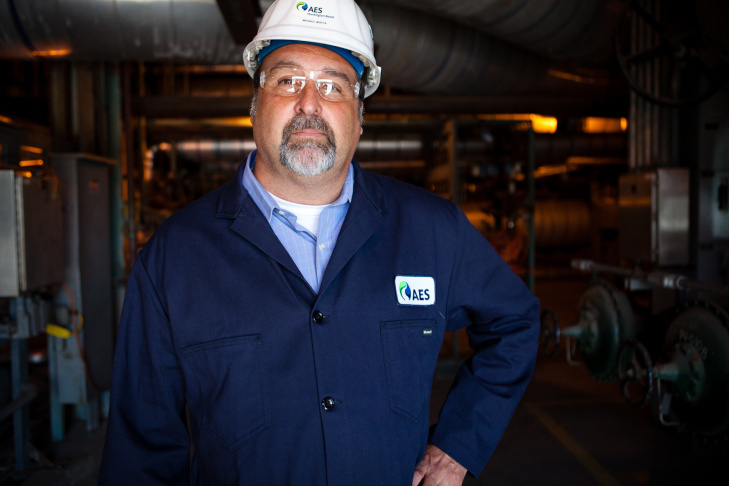 Weikko Wirta is plant manager at the AES power plant in Huntington Beach, and oversaw the process of bringing two retired power generating units back online to provide electricity for customers affected by the Summer 2012 closure of San Onofre. After a radiation leak and other problems were detected at the San Onofre Nuclear Plant, the AES natural gas-fired plant in Huntington Beach is filling the demand for power for about 25% of the Southern Californians affected by the temporary closure. 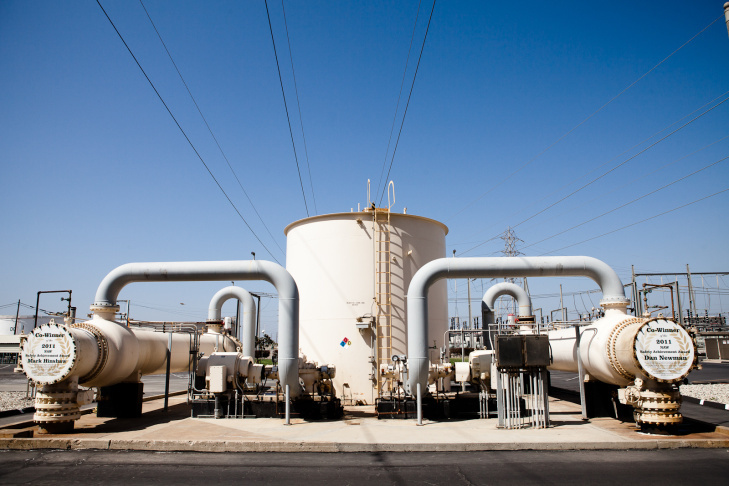 The main transmission lines pass over a holding tank at the AES power plant in Huntington Beach, CA. 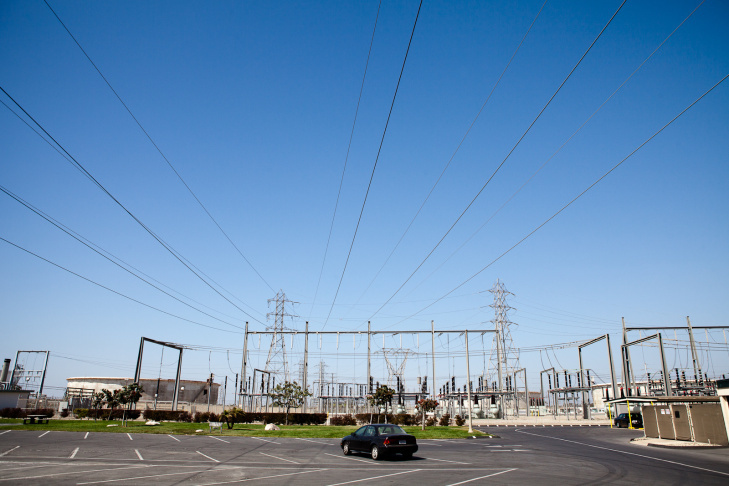 The main transmission lines pass over a parking lot at the AES power plant in Huntington Beach, CA. California energy officials say they have found enough electricity to replace what they’ve lost with the shutdown of the San Onofre Nuclear Generating Station. The nuclear plant, which sits on a coastal bluff on the border of Orange and San Diego counties, has been offline since January 31 — and will remain shut down through at least August, because of problems with excessive wear in tubes carrying radioactive water. One of the key sources of replacement power is in Huntington Beach. 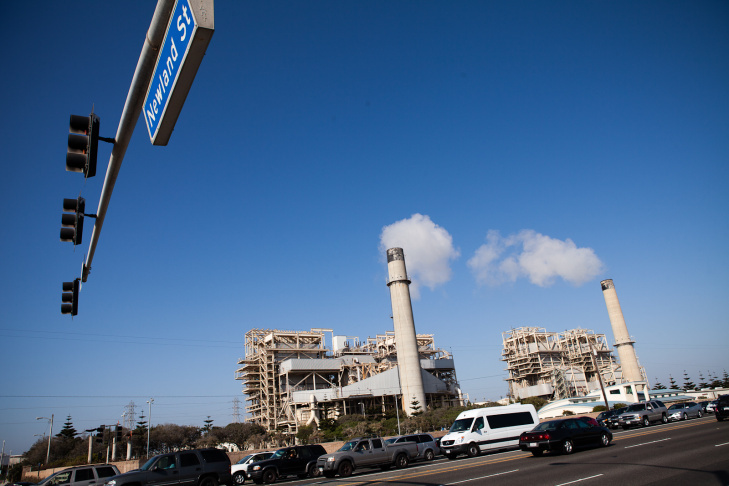 The AES natural gas-fired power plant rises high above Pacific Coast Highway. It covers 38 acres of close-to-the-beach property — and its tall exhaust stacks and erector-set structure of metal tubes, pipes and concrete dominate the Huntington Beach coastal skyline. You can’t hear the sound of power being produced until you get close to the AES power plant — close enough for ear protection. From the highway you can't hear the plant. But once on the property, the sounds completely erase the roar of the Pacific Ocean across PCH. 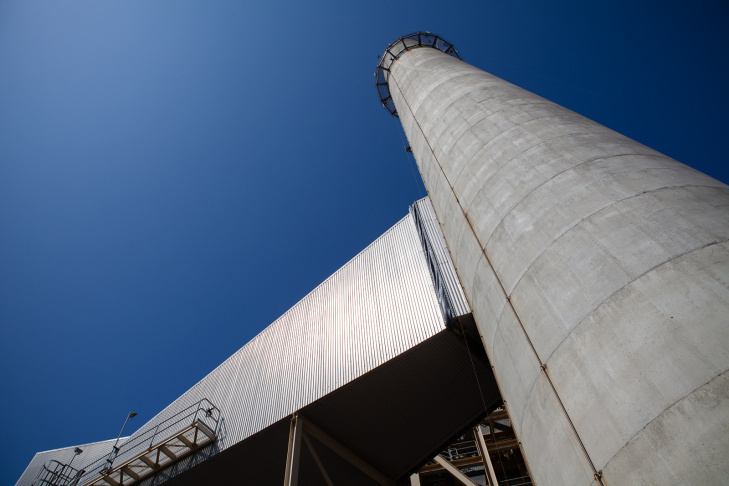 Since May, all four units at the natural gas-fired power plant have been revved up to crank out power. Wirta said when the company got the word from the state that the two units were needed, workers jumped into action. “We had initially planned on 30 days worth of work, but the people in Huntington Beach turned it around in 16 days,” said Wirta. The two “retired units” were brought back to service May 14. During California’s energy crisis about 10 years ago they were also put back into service. The two gas-fired units provide enough juice for 400,000 homes. 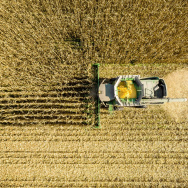 The plant is just one part of the mix to cover the loss of power generated by the San Onfore nuclear plant. 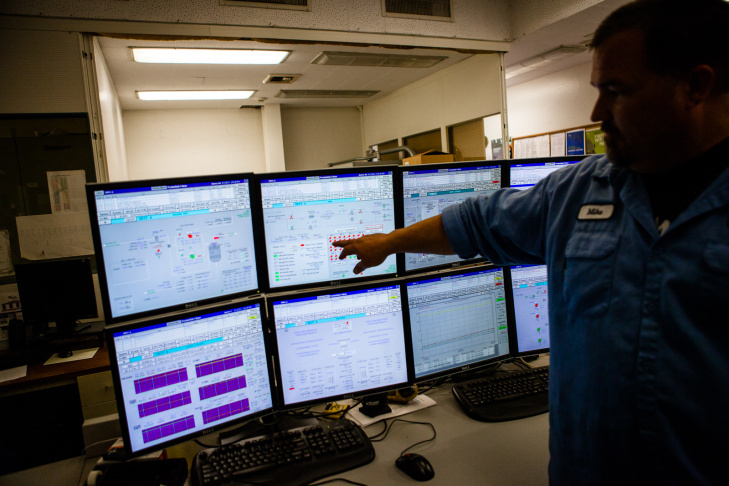 “It doesn’t completely fill the gap left by San Onofre, but it does significantly lower the risk of reliability issues," said Stephanie McCorkle with the California Independent System Operator (or CAL-ISO), which runs the state’s power grid. McCorkle said an upgraded transmission line and a new one in San Diego County, the Sunrise Powerlink, also help. “But we’re still going to need customers to do their part and conserve when they hear Flex-Alerts this summer," McCorkle said. She said Flex-Alert messages would be broadcast on radio and TV if needed over the summer. “State officials have called a Flex-Alert and are asking for everyone’s help," one message begins. "Please turn off all unneeded lights at home and at work. Adjust your AC to 78 degrees or higher." McCorkle said Flex-Alerts are a key conservation step to prevent rotating outages. 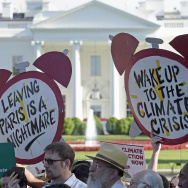 She said Flex-Alerts are issued before high demand might strain the electricity grid. 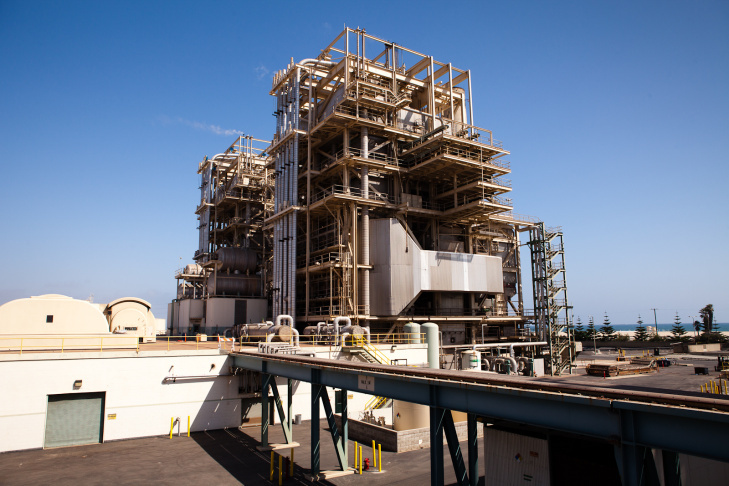 Southern California Edison said it can get through the power demands of a normal summer with the Huntington Beach gas-fired power plant, added transmission lines and conservation. 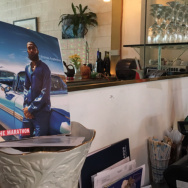 But Edison’s Jennifer Manfrè said emergencies or extreme summer heat could trigger rotating blackouts, which would mostly affect southern Orange and northern San Diego counties.